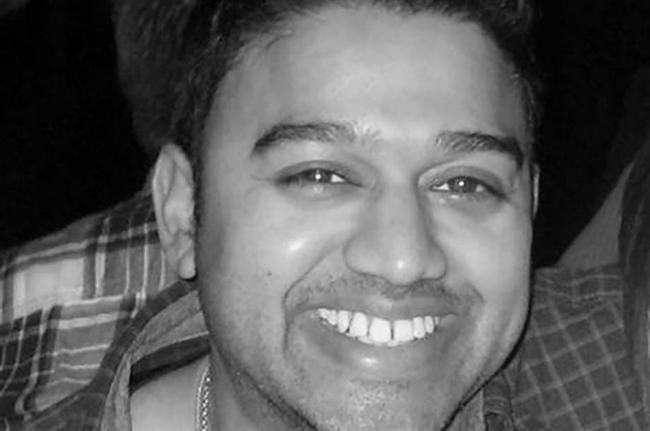 Event caught up with Carlsberg's UK senior brand manager Darmesh Rana about the lager brand's recent beer billboard in London. 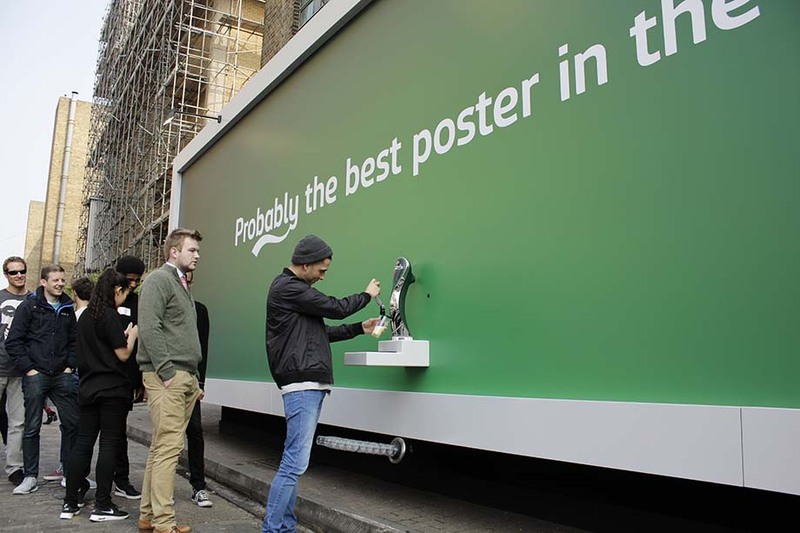 Last week, as part of its 'Probably the best beer in the world' campaign, Carlsberg created a poster that dispensed free beer in Shoreditch, London. The installation was created by Fold 7 in collaboration with Mission Media. What were the objectives of the activity? Our overall objective was to raise awareness of the Carlsberg brand among beer drinkers in the UK. We wanted to bring the brand proposition to life in different ways, using digital and social to complement the TV advertising that we do. What messages did you want to communicate about your brand? Our overall brand proposition is based on the idea that if Carlsberg does something, it does it better. 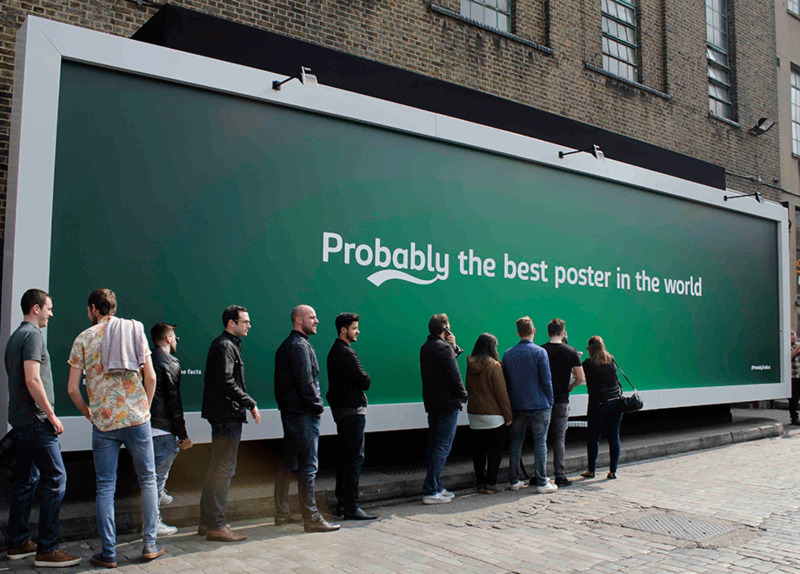 What could be better than a normal poster that dispensers free beer to passers-by? How was the success of the poster campaign measured? What were the results? Success of the campaign will be measured primarily by social and media engagement. Initial results show that we reached more than 60 million consumers globally via earned PR and more than three million social impressions of the #ProbablytheBest throughout the day. Full evaluation is still to be completed however, based on media coverage alone, ROI was eight times what it cost to develop. What's next for this Carlsberg campaign? 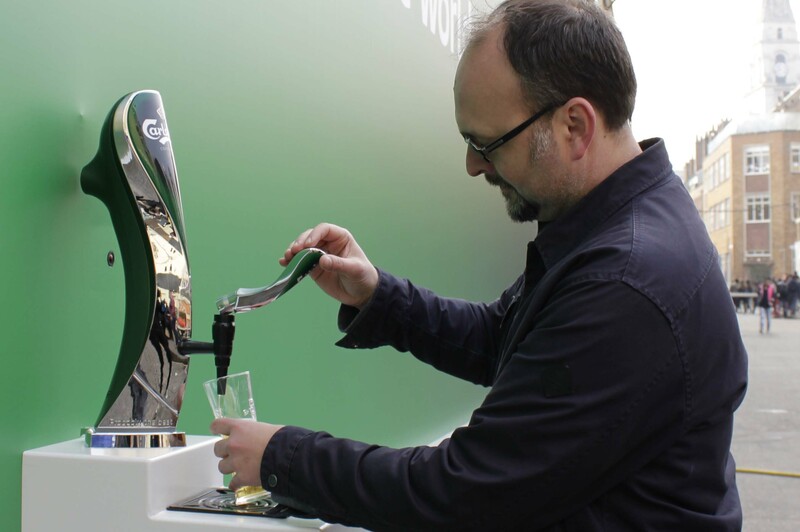 This activity is one of many ideas that we’ll be developing over the course of the year to ensure that beer drinkers up and down the country see the Carlsberg brand in a new and engaging way alongside TV.